http://bit.ly/LWIN2K Our feature interview this week is with Daniel Rirdan, author of a new book “The Blueprint: Averting Global Collapse.” You can download/listen to that interview in CD quality or Lo-Fi. Our second guest is Brita Belli, Editor of E Magazine, and author of their cover article “This Is Your Ocean on Acid”. Almost half the show is my own news report on climate, the failure of media to report it, and some good news about the growth of Radio Ecoshock, as we wrap up this season. Music: “Burning Down the House” by the Talking Heads. Radio Ecoshock 120704 1 hour. 1. This is the last new Radio Ecoshock show for this season. We are offering radio stations and downloaders 8 replay programs. They are the most downloaded, most popular shows of the past year. 3. Radio stations, at Ecoshock.net you will find both the one hour straight through version (choose “CD quality”) or two 29 minute halves, allowing you time for Station ID and announcements. 4. The next new Radio Ecoshock program will be released September 5th. There will be no podcasts or posting until then. All shows are also posted on Pacifica Audioport, in addition to Ecoshock.net. As I prepared this program, Colorado is burning. So are parts of Utah, where I was just camping. It’s everything we’ve been warning about on this program literally for years. Climate change has struck. Normal isn’t a word we’ll get to use again in our lifetimes. In America, 1011 heat records fell in one month. In Coweta Oklahoma, a kid managed to fry bacon on the sidewalk. Firefighters had to wait for nightfall to even get close to the fires. Mostly, nothing human, not even machines, could approach the towering walls of fire. In Toronto Canada it’s been summer since April. Millions of people are sweating it out in filthy smog. You’ve heard it is sweltering in a stormy heat all up and down the U.S. East Coast. In fact, 25 states have temperatures over 100 degrees (38 C) this week. About 4 million people in the Washington D.C. and Virginia area lost electricity in storms that ran up to 90 mile an hour winds, stronger than some hurricanes. So those folks have to endure the heat and humidity without air-conditioning. Welcome to the future. I recall talking with Stuart Staniford, author of the “Early Warning” blog, about how much heat humans can take as a species. It turns out if the humidity is quite high, we can’t survive sustained temperatures of 35 degrees C, even with fans or whatever. We can’t perspire enough, and that is our last ditch cooling mechanism. People die in high heat because of that, especially if night time temperatures don’t drop low enough to recover a proper core temperature. Thank goodness the Virginia Legislature passed an Act banning global warming! The NASA map for May shows excess heat all over the world, except for the Pacific Northwest and Australia, which are colder than usual. Everybody else is getting a double helping of 100 degree plus heat, 38 degrees C in the shade. Globally, it was the hottest land temperature in May ever. Funny, I haven’t heard much from the global cooling guys lately. Nobody is buying those lies any more. But the usual billionaires plan to stuff it down your throat anyway. In Australia, where climate change has driven drought-stricken farmers to suicide, where roaring fires have killed hundreds – the country’s richest woman, Gina Rinehart, is trying to take over Fairfax, the big newspaper and television chain that Rupert Murdoch doesn’t own. Gina loves climate denier Ian Plimer, and wants another denier, Andrew Bolt, promoted to top spot on television. It’s a board room battle with respected Australians pleading for a little sanity in the daily paper, maybe with editorial independence. Just like the Koch Brothers in the USA, billionaires can drag off both media and politics to suit their need to pollute for profit. Maybe it would be a good thing if Rinehart can turn Australia’s media into a climate denier circus. It would be the last act of newspaper suicide in that country. Young people, whose future is being ruined, know better. They are already moving to social media and the Net. Once the big lie is flouted in their faces, it could be the end of newspapers down-under. Credibility gone. Not that American or Canadian media are doing any better. Covering the Colorado fire story, the weathercasters blow up the horror of the heat, and the high winds, without ever mentioning climate change. Apparently they’ve never heard of climate science. There should be some kind of aware do the major TV networks for the number of times they can report obvious climate-caused damage without ever mentioning the truth behind it. Everyone can win that award. See Joe Romm’s excellent summary of the horrible media cover-up at thinkprogress.org. We’ll have to hand out another prize for dumb journalism for every reporter who doesn’t know the West is also burning because the Pine Bark beetle and other borers killed off entire forests. Nobody even mentions this! That beetle problem is straight out of global warming. The winters haven’t been cold enough to kill off these pests. Every forest worker, the logging companies, the State governments, everybody knows warmer winters have killed off masses of trees. Now they are burning, what a surprise! The reporters, or their editors, need to be spanked for leaving that out. Still on climate, extreme rainfall events are coming too fast to report them all. Duluth Minnesota was drowned, but how about Florida! Tropical storm Debby, not even a hurricane, dropped 5 to 7 inches of rain over three days. Towns nowhere near the sea, a lake or a river – flooded, as water erupted out of the ground. Super storm cells washed over the Midlands of Britain. Flash flooding all over England and Wales in the past week, called “Biblical”. We’ve got some ideas from science about why it burns, or dumps tons of rain or snow, for weeks – why the weather stalls. Scientists think the melting sea ice in the Arctic has disrupted the Jet Stream. In his blog “Early Warning” Stuart Staniford has a great explanation. It turns out the Jet Stream, travelling high above the Earth, is bent into ox-bow-like waves as the planet turns. In a nutshell, these are called Rossby Waves. We’ll have to do a whole Radio Ecoshock show on them. The Rossby waves used to undulate with some regularity over the Northern continents, bringing a mixture of weather systems, including heat, cooler periods, and rain. Our agriculture is built on them. At a Weather and Climate Summit in January, Rutgers oceans scientist Dr. Jennifer Francis advanced the theory that more open water in the Arctic is impacting these Rossby Waves. The result is much slower movement of more extreme weather patterns, called “blocking”. It’s been documented several times since 2007. That may explain the months-long extravaganza of heat and drought over Texas and Oklahoma last year, and the strange summer in March over Eastern North America this year. It’s wild to think that melting Arctic sea ice could even be part of the burning American West. I’ll toss a link to the video of the Jennifer Francis presentation into my blog at ecoshock.info. Check it out. Be the first on your block to actually understand why the weather is so messed up. Here is a copy of the paper on Arctic melt impacts on our weather. Oh yeah, the Arctic sea ice is the lowest ever recorded for this time of year, lower than the jaw-dropping record of 2007. Of course you saw those headlines, the big TV news stories about that. Not! Under the remaining ice, so thin it is almost translucent, scientists have discovered vast pools of algae growing under the Arctic ice. They’ve never seen it before. We have no idea how that will impact the algae feeders who arrive later in the real summer. Or why it’s there. Normally, and there is no normal anymore, algae doesn’t get enough light to grow under the ice. But hey, as you are packing up the kids and photos in your five minutes to evacuate, the head of Exxon/Mobile says “don’t worry!”. At a meeting of the Council on Foreign Relations, Exxon/Mobil CEO Rex Tillerson said global warming is happening, but it’s quote “manageable.” He admits burning fossil fuels are causing the climate to change. Too bad Exxon funded so many climate deniers for so many years, saying it isn’t happening, or humans aren’t causing it. Rex Tillerson says we’ll adapt. So get busy adapting, because this big oil company needs to keep making billions of dollars in profits every quarter. No matter what. By the way, the nuclear disaster at Fukushima continues to percolate along. Debris is hitting the West Coast of both the United States and Canada. Some of it will be radioactive. Canada has no plans and no budget to clean any of it up. Meanwhile the nuclear operator Tepco finally sent some workers into the super-dangerous Reactor Number One. It’s been too radioactive to approach, but they got a sensor down below the former reactor container. What did they find? The highest levels of radioactivity yet. It’s over 10,300 millisievert an hour. That’s enough to quickly kill humans, making them sick within minutes. That is, new technologies that don’t exist yet. The Japanese explain the sky-high readings are due to problems with the nuclear fuel. Problems? Everybody knows the reactor melted down, and then melted through its containment. Nobody knows for sure where the lava-like nuclear material is right now. Is it percolating on the concrete floor? Will it go through to hit the water table? Or just out into the Pacific Ocean? Stay tuned for the Fukushima cliff-hanger. There are two more reactors just like that. Under extreme international pressure, the Japanese have announced they will speed up efforts to remove nuclear fuel rods from the semi-demolish fuel pool in Reactor Number Four. Radio Ecoshock was one of those voices, with nuclear expert Arnie Gunderson warning a collapse of the Reactor Four fuel pool could be a world-poisoning event, and near final for large parts of Japan, including Tokyo. Several listeners made that Gunderson Ecoshock interview into You tube videos, like this one, which have many thousands of views. When it really matters, the word gets around. One: in some places, as under the remaining glaciers of Iceland, there exist volcanoes which have been more or less “corked” by the mass of ice over it. When that ice cover melts, they blow. That isn’t the case near Fukushima Japan. Two: as ice over a mile thick melts in places like Siberia or Greenland, the pushed-down land rises, causing quakes, and underwater landslides that lead to tsunamis. We can’t rule this out as a factor at Fukushima. Three: the melted water goes elsewhere in the world, distorting our orbit slightly, but also causing different pressures, especially in places under the ocean where the crust is thin, or already in transition (being “subducted”). Again, I wonder… I have read elsewhere that the sea is not level. More water is drawn to areas with heavy layers of ocean crust, especially to certain types of rocks. Simple calculations of mass draw more water to such places. The sea is more than two dozen feet lower in a place in the Indian Ocean, where the underlying crust has less mass. It is a couple of feet higher around the island of Japan, where very dense rock under the sea has lots of mass. So Japan attracts more of the glacier melt water, as sea levels rise. Did the added mass of the melting Arctic glaciers help trigger the massive undersea earthquake and resulting tsunami that wiped out the Fukushima Daiichi nuclear reactors? I’d heard about this human-induced change to geology. But until I listened to the podcast, I didn’t really GET it. McGuire says the rapid temperature rise in the Arctic will lead to a period of geological destabilization, featuring volcanoes, quakes, and tsunamis much more than we have experienced. He cautions these will not happen in places where the pre-existing stress point, loose underwater slopes, or volcanoes do not already exist. The global melting just exacerbates that situation, and causes them to bunch up into a much shorter period of time. We’ll see more surprising and destabilizing events. Geologists and paleoclimatologists have already found several periods of melt-caused instability going back millions of years. We had one period like it between 10 and 20 thousand years ago, when the big North American and Eurasian glaciers melted back, over a thousand years or so. None of this is good for the nuclear industry, with so many plants built in quake prone zones, or right near the ocean where a combination of rising seas, more violent storms, and increased tsunamis will surely cause more Fukushimas. I could spend the next hour just reporting the warning signs of extreme ecological collapse, leading with the demise of the climate as we know it. Should we just give up? Is there a way out? We go to an interview with Daniel Rirdan. He’s one smart cookie. Daniel tells us he was planning on writing a book about humanity on trial. As he worked on our Defense, Daniel realized there just may be some ways out of a global ecological and social collapse. Rirdan did tons of research (he’s an interactive map guru). Can solar energy really power the world? Is there a technology to take out billions of tons of carbon dioxide from the air, to save the last of the polar ice? Apparently all that is possible. I know there will be complaints about this interview from people who are fundamentally opposed to a “technical fix”. But Rirdan isn’t advocating dangerous nuclear power, or spraying sulfur in the clouds. His tech solutions really are the kind we’d like to see. He’s done the number crunching, and really extended existing green tech to find a way. Daniel has a series of half a dozen videos on his web site. If you like your info that way, go through it, see what you think. The book contains all the details, charts and connections to back up the videos. Start with this trailer. Given the mess we are in, along with Dr. David Suzuki who recommends this book, I think we have to listen closely to ways to save ourselves, and the natural world, from a giant change in both climate and the species (i.e. mass extinction). This is no time to close off our ears, I say. Earlier in this program, I lamented the shallow coverage of forest fires in the Western United States, and extreme rainfall events all over the world. It’s as if scientists didn’t write papers warning this would happen as the atmosphere is polluted with carbon dioxide. They did warn us. And most of the public still don’t connect the dots, thanks to a criminal collusion between news and weather reporters, and their corporate advertisers and owners. Take this case, raised by Joe Romm over at Think Progress.org. The headline is: “Kardashians Get 40 Times More News Coverage than Ocean Acidification“. The folks at Media Matters counted up the stories. It’s a solid wall of reporting about these no-talent gossip babes, and a tiny sliver on page 92 telling the good folks at home one minor detail: our carbon pollution has changed the chemistry of the vast ocean. Oh yeah, and by the way, in teeny tiny print, we’ll lose the coral reefs, a bunch of sea food you love, and plankton at the base of the whole world food web. Did ya hear about what Kim said after her latest divorce? What was the size of the settlement, and who is sleeping with her ex? Trying to save the reputation of at least one little pocket of the media, E Magazine did a cover story on ocean acidification in June 2012. We’re going to talk to the author and editor of that green journal. I interview Brita Belli, the Editor of E Magazine, one of the few green journals to survive the advent of the Net. Brita wrote an excellent cover article about ocean acidification, and we talk about the three main reasons why we have to care really quickly. We are wrapping up this season of Radio Ecoshock with this program. During the summer, I’ve picked out the most downloaded programs from the past year, the ones that broke through and still stand tall, for our summer broadcasts. As I look back over the past year, there have been a lot of good things happening for Radio Ecoshock. We added over twenty stations, including the prestigious WPFW in Washington D.C., and Resonance FM in London. More and more Net stations are picking up Radio Ecoshock. We have two based in New York alone, including the rapidly growing Progressive Radio Network. I’ve found other stations are picking up occasional shows, or just some feature interviews. 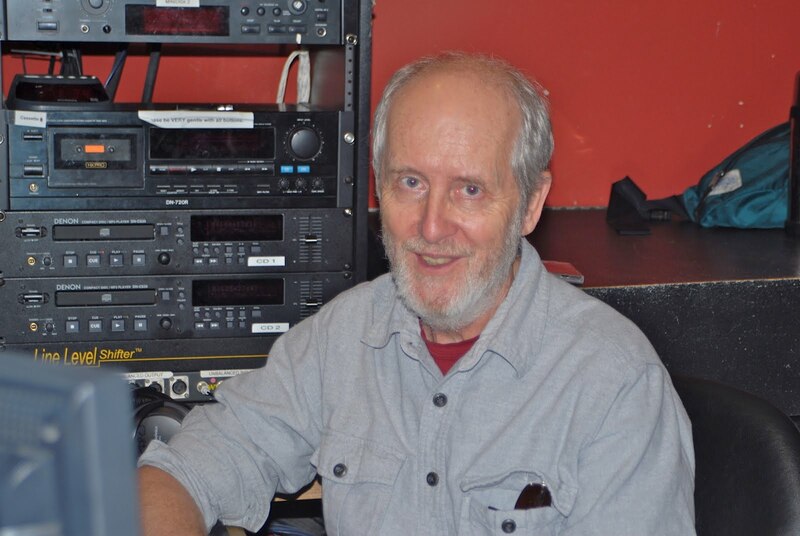 Thanks to KBOO in Portland for running a show recently. C’mon Oregon listeners, write KBOO and get Radio Ecoshock on the air every week! Ditto to my Australian listeners. Would you write 4ZZZ in Brisbane? They are on the edge of becoming our first station in Australia. Give them a push. Every station matters to me. You matter to me. That’s why I do the show. Just this month we launched the new Radio Ecoshock web site. It’s still in its infancy, but Carl has given me some really powerful tools to develop the site next fall. We still have gazillions of programs and other green audio for you to download as free mp3s. Load up your computer, IPOD or mp3 player for the summer at ecoshock.org. And we finally have a search engine for the site. Thanks to another volunteer, we have a better blog at ecoshock.info. It’s easier to read, and I can include photos of my guests. Our podcast list grew by a third this year. That’s a solid base of listeners and communicators who tend to pass on the program to others. We are slowly developing our Facebook community, and this year Radio Ecoshock began tweeting out every new show. It’s a start. We added about a dozen videos to You tube this year, with the help of fans. I’d love to see every show up there, but I just can’t do it all. My first love is making a great radio show for you. That is what I pour my life into. The rest comes as it can. All in all, Radio Ecoshock has grown in a bunch of different media this year, partly because the fringe issues I started covering back in 2006 are now flying in everybody’s face. It’s too big to deny. The question starting next September is: what are we gonna do about it? Stay tuned for the best of Radio Ecoshock this summer, some shows you missed, some scientists and activists that need to be heard again. I’m Alex Smith. Thank you so much for listening.